« Our Vacation Rental: Why stay at a Farm? As you may know from our web cam, it is snowy in Sequim today! We are in the middle of a big winter storm, but we are still thinking about all the fun ahead after the cold season. an ideal wedding location! 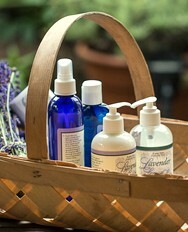 We have 12 acres of beautiful gardens and pungent lavender plants. This is the perfect setting for beginning a new life in love! We also have one of the most unique Washington vacation rentals that is perfect for the bride’s pre-ceremony dressing with her bridal party. The home can also serve as a place for family and friends from out-of-town to stay; the home sleeps eight comfortably. Or use the home for the first night of your honeymoon. 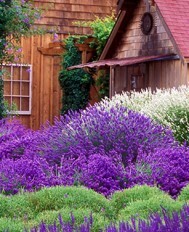 Our grounds are what really make the Lavender farm the perfect place for a romantic ceremony. We have two different lawns and a stage to accommodate your ceremony and reception. The stage is a great place for live music and we have a wonderful sound system here at the farm! The Farm also provides a wedding planner to help you coordinate all the different aspects of your ceremony. 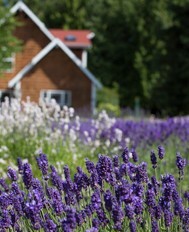 I hope you will consider Purple Haze Lavender Farm for your Sequim wedding location. We would love to share it with you and make it unforgettable. My fiancé and I are looking into Ceremony and Reception Venues in the greater Seattle area and think your venue looks beautiful. We were wondering how much the site rental would be for a Friday Night mid June 2012 for around 50 people? We would need both the ceremony, and a reception with a plated meal for our guests. Also, what all would this cost include? Do you allow outside vendors or decorations? Are there any restrictions? Also, do you have photos of past weddings I could look at to get a better idea of the venue?